Ordained in 1985, Rev. 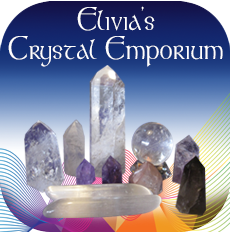 Elivia will be the guest minister for the Healing and Lecture service at the 1st Spiritualist Church of San Diego. The Spiritual Healing Service begins at 10 AM. All are welcome to attend. 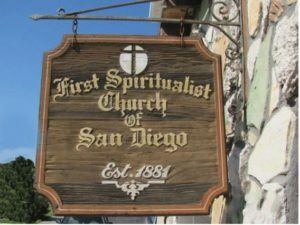 The Lecture – Spiritualist Church Service begins at 11 AM. Rev. 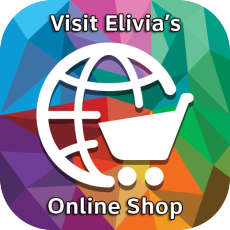 Elivia is an inspirational speaker with much to share. Come have your Spirits fed with supportive and enlightening words straight from Source to your heart!! Messages from Spirit are a part of all Spiritualist Church services, as one of their Principles is that “Communication with the Dead is a so-called fact, as demonstrated through mediumship. This demonstration takes place every Sunday. Elivia and others will be bringing Spirit Messages to selected members of the congregation. Also join us for refreshments, snacks, & conversation in Johnson’s Hall immediately after the Lecture Service!